Search for all "GTF2I / TFII-I"
Mouse anti Human, Mouse GTF2I / TFII-I. Product is tested for ELISA (detection), Immunocytochemistry/Immunofluorescence, Western blot / Immunoblot. 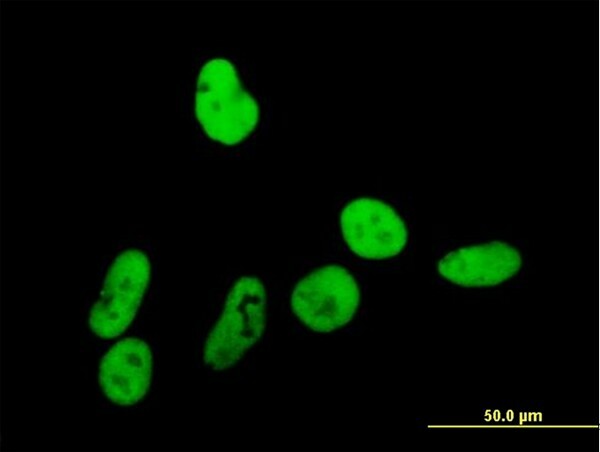 GTF2I (AAH99907.1, 1 a.a. ~ 976 a.a) full-length human protein. 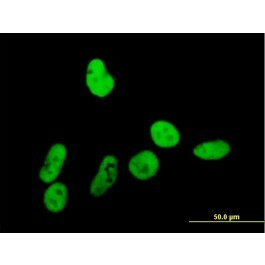 Mouse polyclonal antibody raised against a full-length human GTF2I protein. Antibody reactive against mammalian transfected lysate.